Coming off of a super fun Mower Concerto last weekend with the fantastic musicians of the Fox Valley Concert Band and gearing up for a concert for the Korean Cultural Center of Chicago with Brian Lee and Jake Muzzy. We'll be performing a program of French favorites by Faure, Franck, and Gaubert. Join us on Saturday at 4pm! http://www.kccoc.org/wps/ 5 months 2 weeks ago. If you missed our program last night, please feel free to catch it here: https://www.wfmt.com/2018/06/11/picosa/! 10 months 2 weeks ago. Hope you'll join us tonight at 8pm on 98.7 WFMT or online at https://www.wfmt.com/?p=38064! Program: Debussy - Prelude to the Afternoon of a Faun, transcribed by Jonathon Kirk Turina - Cìrculo Trio, Op 91 Ran - Mirage Haydn - London Trio No. 1 in C Major Copland - Appalachian Spring, transcribed by Jonathon Kirk 10 months 2 weeks ago. Incredibly grateful to Peter Equality McDowell and his fabulous team at PerformSites for the launch of my newly re-designed website! (PC Marc Perlish) Stop by for a visit at www.JennieBrownFlute.com, and for more news, feel free to click on my Summer Newsletter: https://mailchi.mp/c837f8f0b12a/flute-news-from-jennie-oh-brown-june-2018 10 months 3 weeks ago. 🌟 Read about Jennie's upcoming events! ✨ - 1 year 1 month ago. Known for his dramatic and unique style and as a gifted orchestral colorist, Joseph Schwantner is one of the most prominent American composers today. He received his musical and academic training at the Chicago Conservatory and Northwestern University and has served on the faculties of The Juilliard School, Eastman School of Music, and the Yale School of Music. Schwantner’s compositional career has been marked by many awards, grants, and fellowships, including the Pulitzer Prize and several Grammy nominations. Jennie Brown is Artistic Director and Flutist with Picosa, a chamber ensemble for flute, clarinet, violin, cello, piano, and resident composer. She has recently published articles in the National Flute Association’s Flutist Quarterly and Flute Talk. She teaches at Elmhurst College and directs Credo Flute and the Elmhurst College Summer Music Academy. She has also been on faculty at the Wheaton College Conservatory of Music since 2002. She has performed in Music Festivals at Aspen, the Music Academy of the West, and Norfolk. "This collection gives us a clear understanding of the breadth of [Schwantner's] writing for flute and of his imaginative use of flute colors, technique and expression. I especially enjoyed the recording of 'Silver Halo,' for flute quartet in which Schwantner displays his true mastery as a composer. Brown plays Schwantner with firm technique and clear soaring sound. She understands the music and plays with conviction and joy!" 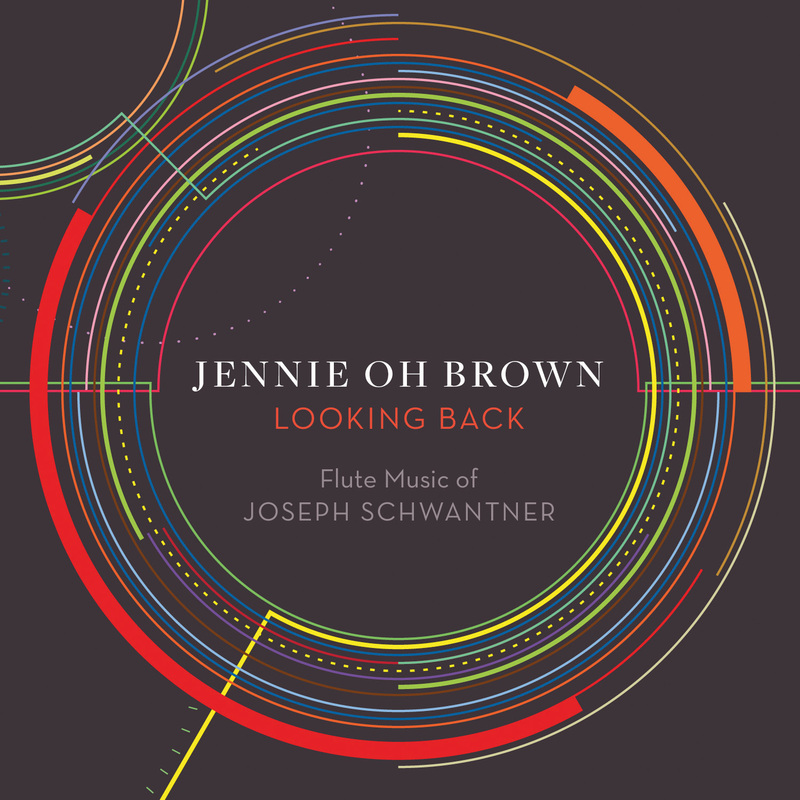 "Jennie Oh Brown really understands Schwantner's compositional intent, and her playing reflects the beauty, intensity, rawness, and virtuosity his music requires. She excels in changing characters rapidly, and her beautiful, expressive sound is perfectly suited to Schwantner's emotional, lyrical, and acrobatic music."